You work 12 hour days. Sometimes, you even work on the weekends. But you know as well as they do, it’s a problem. When you’re working, you feel guilty that you’re not spending time with family. When you’re spending time with family, you feel guilty that you’re not working. You’re caught in the middle, both sides demanding your attention. And the worst part is, when you go to bed at night, you can’t help but wonder, what’s the point of it all? What are you really working toward? Is there no end to this cyclical hell? And his messages have some merit. Being an entrepreneur usually does mean putting in more effort than your 9-5 counterparts. It often means failing and getting back up without much hesitation. 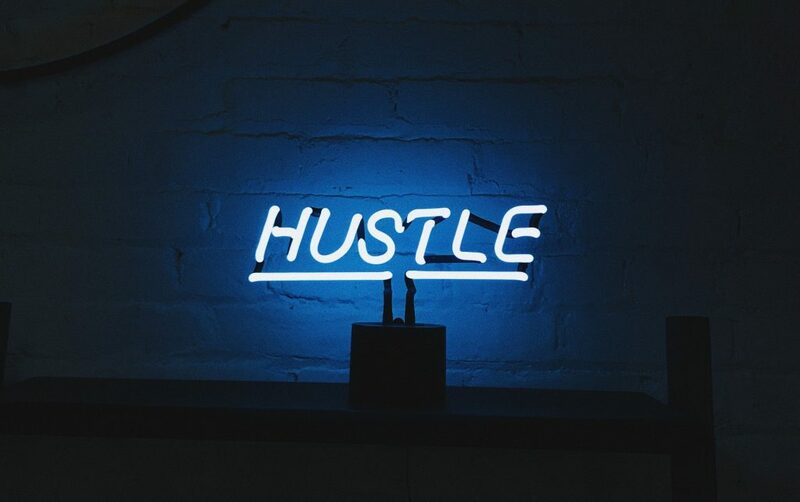 But here’s the truth: “the hustle” – doing what needs to be done at whatever cost – is overrated. As the CEO of a company that grew by 600% this last year, I promise you, you do not have to work 12 hour days and hate your life to be a successful entrepreneur. One of Gary’s fans put this satirical ad together for him for if he decides to release his own fragrance for entrepreneurs: Hustle. You could do that. Sure. In fact, I did do everything for Call Porter at the beginning of 2018. I took customer phone calls, I did 100% of the sales calls, support, on boarding, programming, and even tech support. Which is why I’m now so thankful that a mentor kicked me in the teeth and showed me a different way. A better way. Well, you don’t have to be the one to do every little thing. In fact, you should only do the things that you LOVE doing. …it’s because you’re working on the wrong things. The happier you are at work, the happier you’ll be at home. The happier you are at home, the happier you’ll be at work. Work and play are two cross-threads of the same sweater: LIFE. The key isn’t to work less or work more, but to work on the things that give you meaning. Even Gary V was preaching this back in the day. Sick of answering phone calls? Delegate it. (Schedule a demo to find out how Call Porter can help). Sick of visiting seller’s houses? Hire a salesperson. Sick of overseeing each deal from A-Z? Hire an Acquisitions Manager. Delegate everything that you hate doing until you get to focus on doing the things that you love. You might love inspiring other people who work for you. You might love being the primary salesperson. Or maybe you just love spending time with your family and watching your business run itself. Whatever it is, ruthlessly abandon everything that you hate doing and hand it to someone who loves doing it (they’ll be better at it anyways). Then, spend more time doing what you love. How will your life change when you resolve to only do things that you love doing? When you delegate the joy-stealing tasks to people who those tasks give joy? Well, you’ll find your purpose again. You’ll wake up in the morning with energy. You won’t lie in bed longer than you should, staring at your cell phone screen. You’ll find your child-like passion again. You’ll spend time with your family without thinking about work. And when you do work, you’ll work with clarity and fervor. Because I went from full-time micro-managing hustler at the beginning of this year to now hopping into support to help a few times a month and that’s it. I spend the rest of my time working on revenue generating tasks now instead of the monotonous “Hustle”. We all have it within us. That passion. That love for action. That desire to make a difference, to build something amazing with our own two hands. It robs you of true success. It turns you into someone that you don’t want to look at in the mirror. Instead of hustling for “the hustle’s” sake, find your work-life harmony. Admit that life is bigger than phone calls and 12-hour days. Figure out what you naturally love doing. And do those things more. Delegate life-sucking tasks to someone who would enjoy them more than you. Spend time with your family because you want to, not because you have to. And enjoy life now, because later isn’t guaranteed.